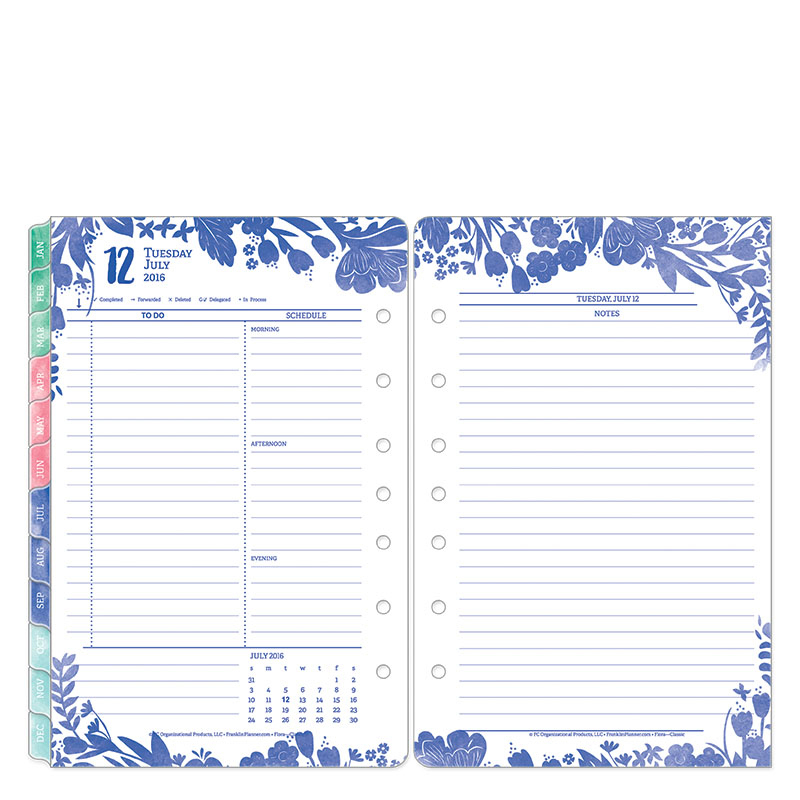 Introducing….the Flora Ring-bound Daily Planner! This is a July 2016 – June 2017 daily planner that comes in Classic size. Bordered by an intricate floral motif, the beautiful Flora Planner adds a unique touch of whimsy to your day. Its two-pages-per-day spread includes a small monthly calendar, a column for your To Do list, complete with our patented prioritization system and key, a schedule column divided into Morning, Afternoon, and Evening segments, and an entire page for notes. 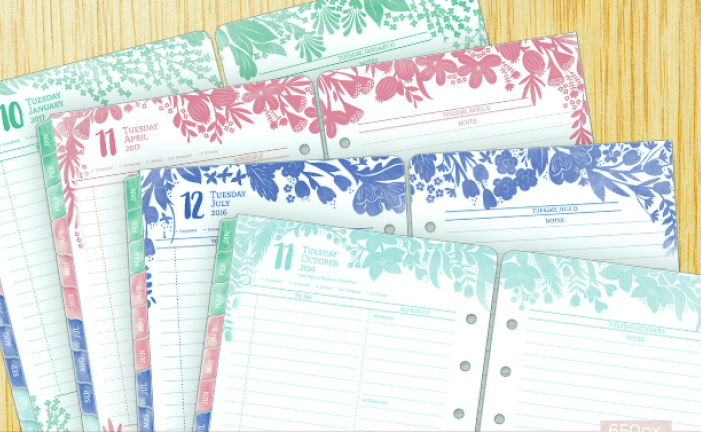 Your planner also includes 12 monthly tabbed calendars, future planning calendars, and important dates sections. Floral designs and colors change quarterly.